(2) Install a new or normal battery (lithium battery). If a new or normal battery is not available, first connect 2 new 1.5 V batteries in series. 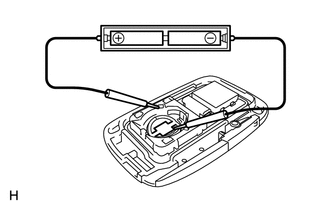 Then connect leads to the batteries and apply 3 V to the transmitter, as shown in the illustration. 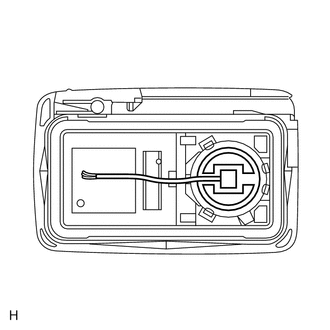 (3) From outside the vehicle, approximately 1 m (3.28 ft.) away from the driver side outside door handle, test the transmitter by pointing its key plate at the vehicle and pressing a transmitter switch. 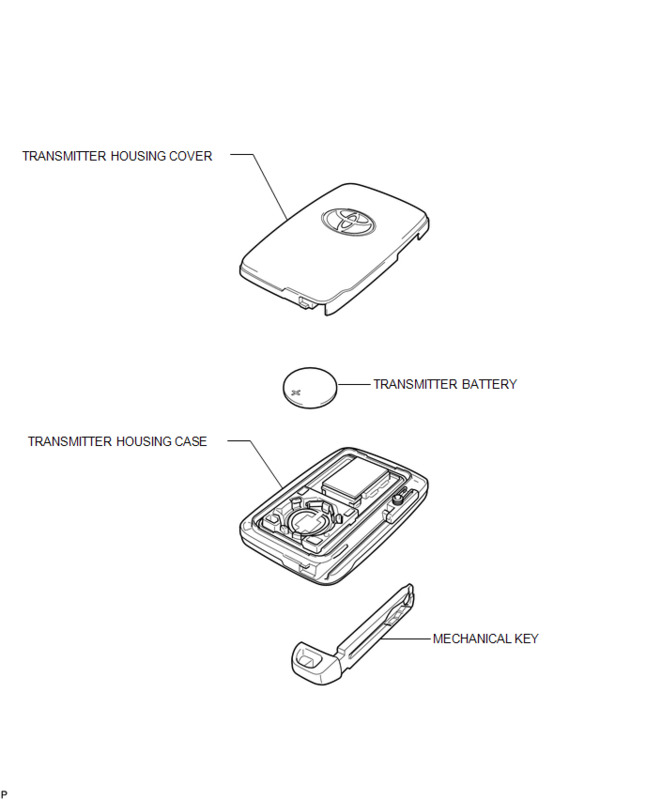 The operational area differs depending on the user, the way the transmitter is held, and the location. When measuring the battery voltage, while operating the lock sensor of a door handle, bring the electrical key transmitter within the entry operating range to perform the measurement. For the entry operating range, refer to SYSTEM DESCRIPTION (See page ).